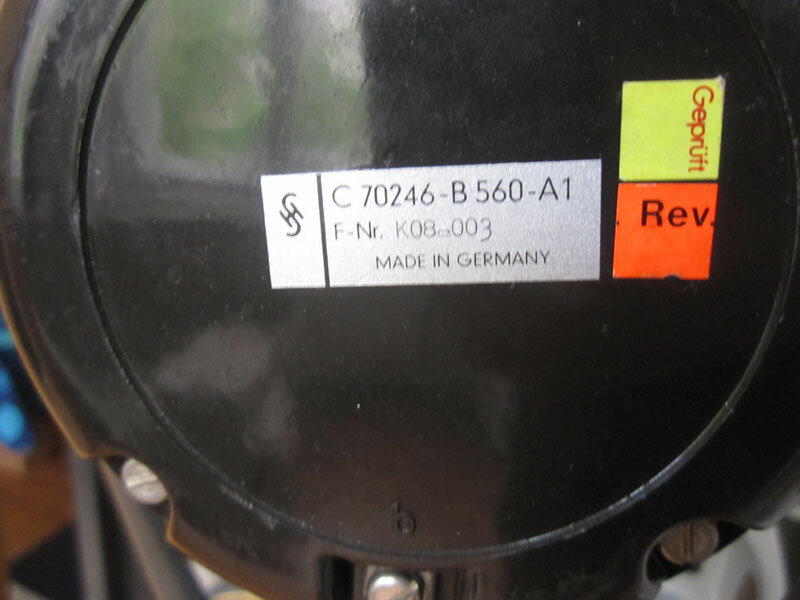 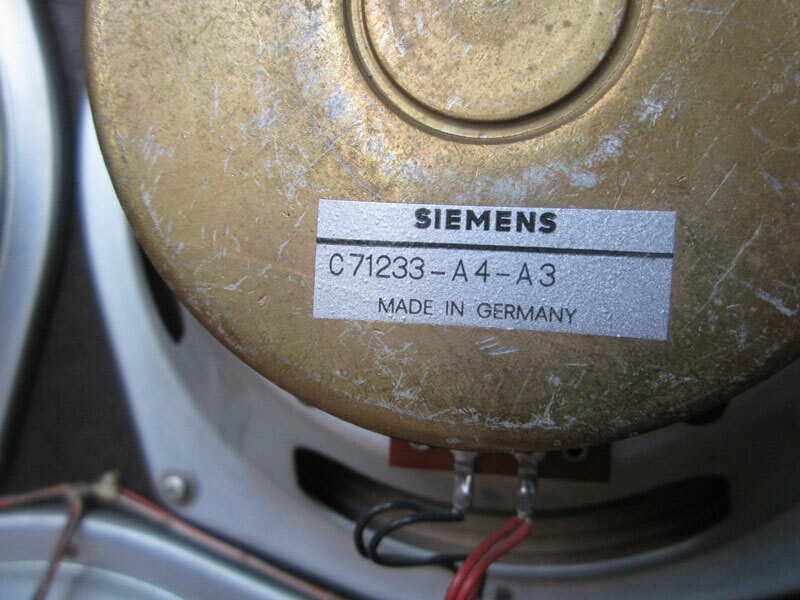 Siemens produced a lot of products for cinema theaters, most of them under the ‘Klangfilm’ label. 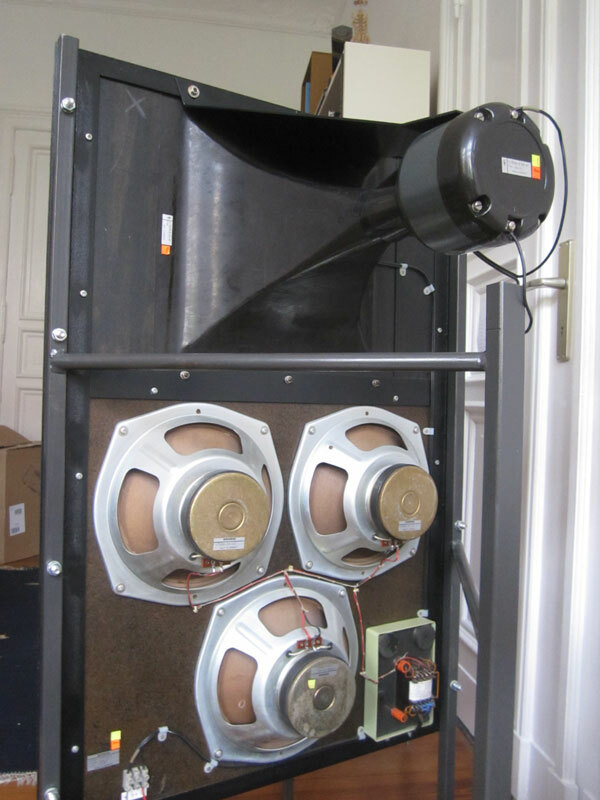 A setup with three older Eurodyns in a Cinema can be seen here. 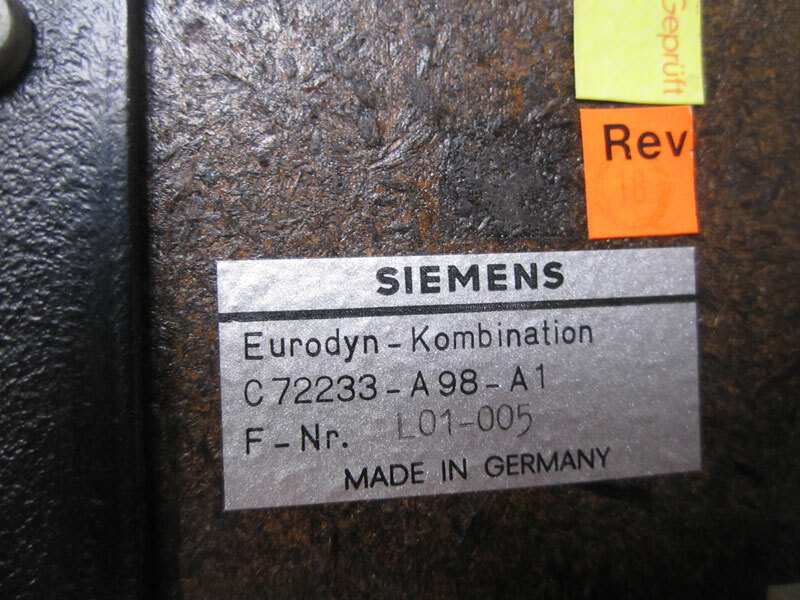 The Eurodyn, which is presented here, is the last model ever made (1977). 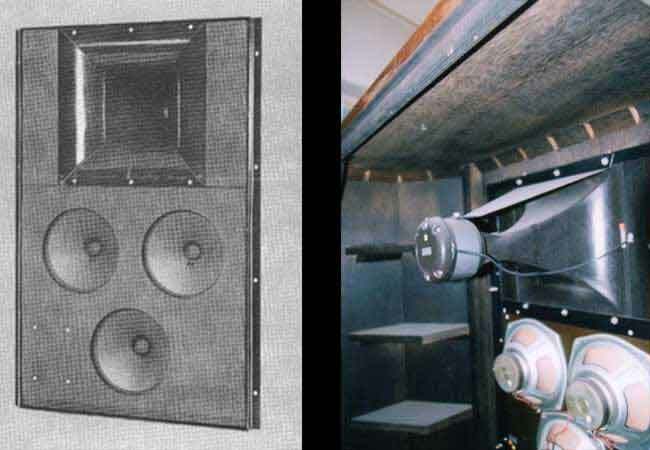 Older versions have one bigger 15″ woofer instead of the triple 8″ setup and a different horn driver. 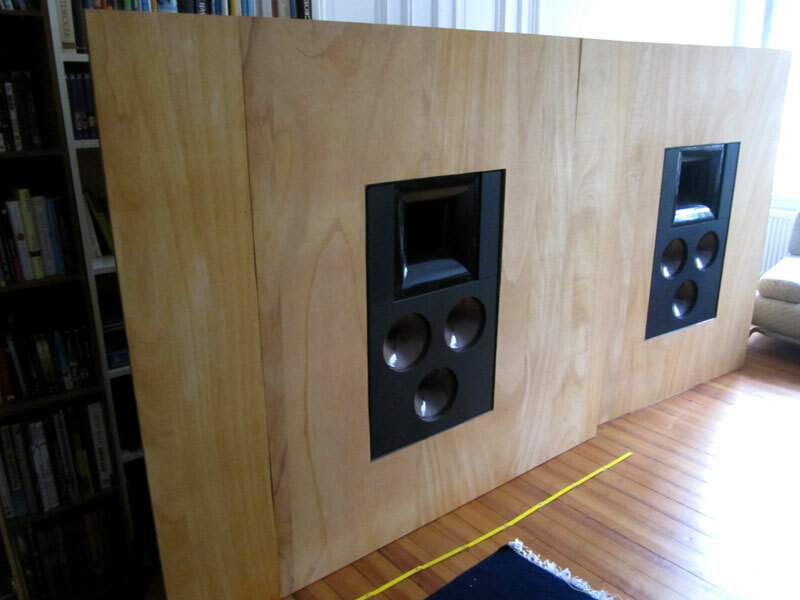 They are intended to be mounted behind the screen in a large wood panel. 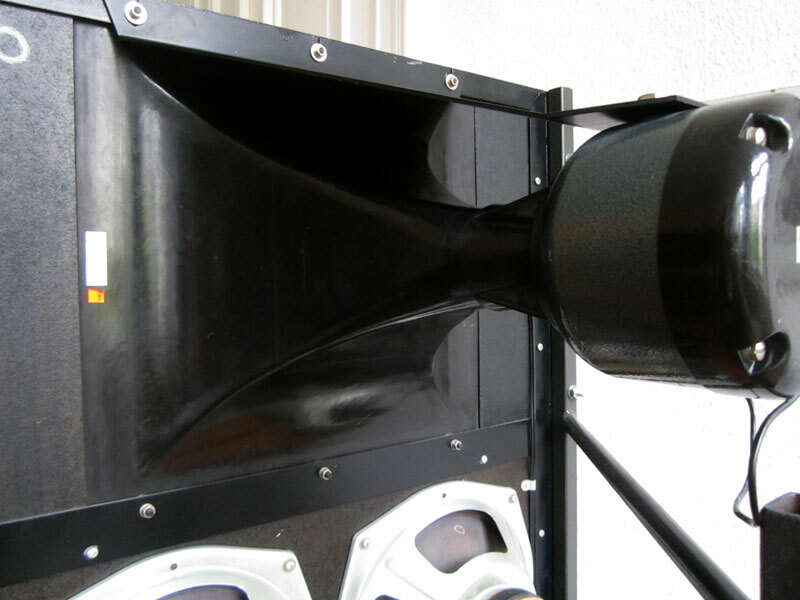 This way space behind the projection screen is saved compared to a bass horn construction. 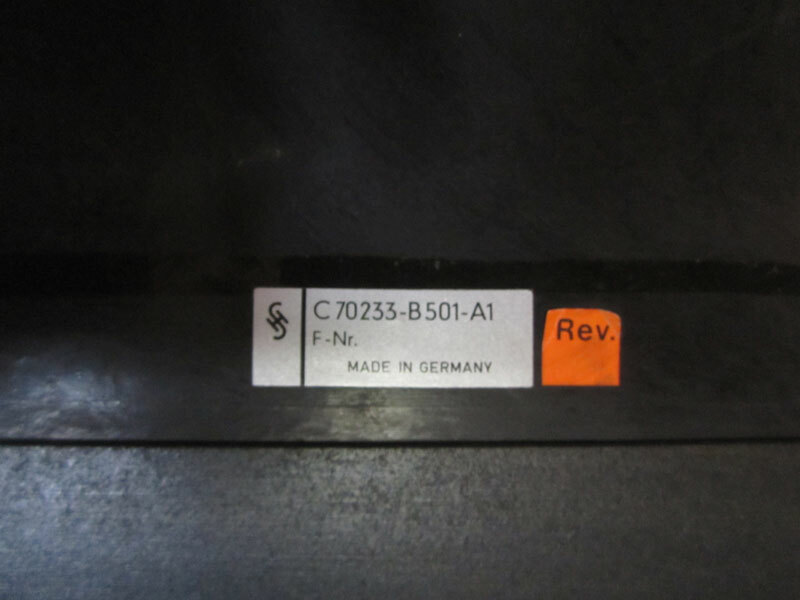 The right picture shows a case that was available for them. 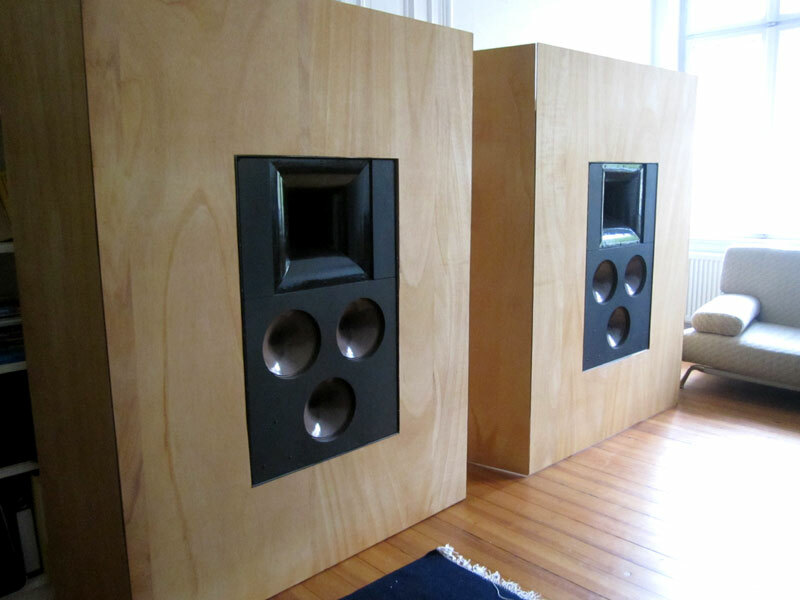 The instruction manual suggests to mount them in a 2 by 2m wooden panel, or directly into the wall. 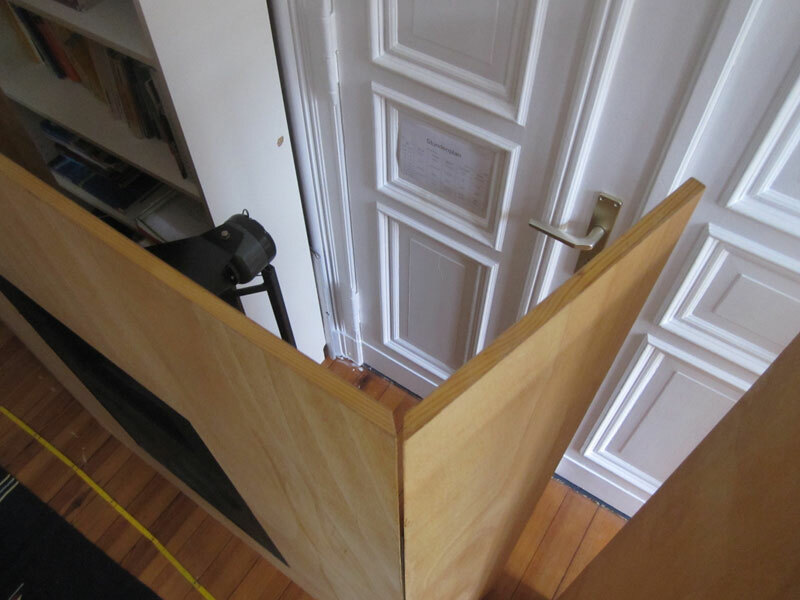 In order to get a room friendly setup I cut the panel size down to 1,6m height by 1,3m width. 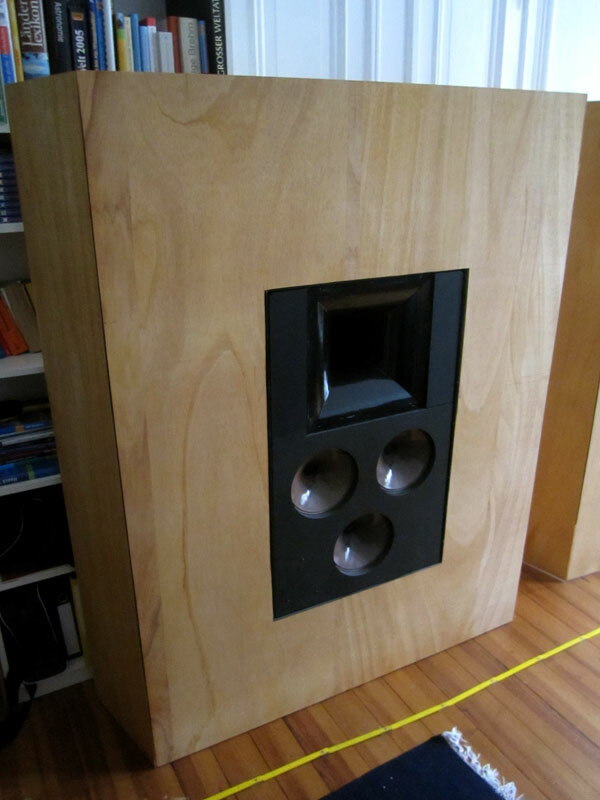 The baffle material was switched to 15mm plywood in the meantime.